This couple creates plenty of steamy friction as they merge water and fire in a high octane union that is anything but relaxing. 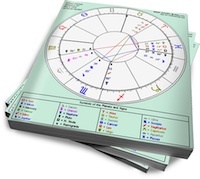 Pairing a desire to merge and emote (Venus in Cancer) with a need to fight and explore (Mars in Aries), these two are confronted with their differences on a regular basis. Their relationship is never boring, offering each of them plenty of opportunities for growth and transformation. Venus in Cancer moves intuitively in love, letting her emotions guide her actions. The nurturing warmth that she brings to relationships is sought out by others who only want to bask in her comfortable embrace. With a desire to “mother” her lover, she can sometimes overwhelm. But she is also able to use her powerful imagination and dreamy sensitivity to creatively transform herself in powerful ways. Mars in Aries flies like a cannonball towards the object of his desire. He’ll stop at nothing to win what he wants and tends to thrive on challenges in love. If a partner makes it too easy for him, he’s likely to grow bored and look around for something new. This Mars needs to feel passionately engaged in his relationships so that he is fully alive and energized. He wants to share adventurous experiences with a mate and has little patience for those who are afraid to engage with life. Venus in Cancer is titillated by Mars in Aries’ bravery and boldness, wondering just what he’ll try next. But her feelings can get hurt when he forgets to factor her needs into the equation. Mars in Aries finds Venus in Cancer to be a mysterious challenge, and since there’s nothing that he loves more than a challenge, he’ll do just about anything to make an impact on her. However, he can feel smothered by her desire to please, because he craves space and freedom. With adjustments on both their parts, this couple can find a way to work through their rough patches and create a relationship that meets their needs.